If you want to experience spectacular and technically advanced virtual reality on a PC (e.g. during a virtual tour), you have to choose between two VR glasses: HTC Vive and Oculus Rift. 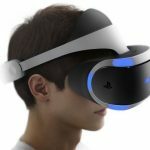 In the following we compare the technology and software as well as the available accessories for the two VR glasses. Both headsets have been on the market for almost two years. Although not much has changed on the HTC Vive or the Oculus Rift , but the surrounding has done a lot that may make your decision easier. That’s why you will find an up-to-the- minute comparison here that takes a closer look at not only the hardware specifications and the tracking systems and controllers of the headsets, but also the software, accessories and future enhancements and upgrades. Let’s start with the headsets of the two manufacturers. In this category, the two opponents do not give much. The core components , the displays and the lenses are the same for both headsets. Both HTC and Oculus use two OLED displays with a resolution of 1,080 to 1,200 pixels and a frame rate of 90 hertz. The special Fresnel lenses used in both VR goggles allow a field of view of 110 degrees. Equally equal are the gyroscope and the acceleration sensor, which support head tracking in both headsets (6DoF, full freedom of movement). Even the weight of the Oculus Rift and the HTC Vive give nothing. Both glasses complain your head with about 470 grams. One important thing differentiates the two headsets in terms of hardware from each other. While the HTC Vive comes standard with no headset and just a 3.5mm headphone jack on the headset, the Oculus Rift comes with built-in detachable headphones . For an extra charge, there are now the Vive Deluxe Audio Strap for the HTC Vive, but more on that later. When it comes to the demands on your computer, the Oculus Rift is a bit more frugal than the HTC Vive. Intel i5-4590 equivalent or greater. NVIDIA GTX 970 or AMD R9 290 or greater. HDMI 1.3 and 3x USB 3.0 plus 1x USB 2.0. Windows 7 64 bit or greater. GPU: Nvidia GeForce GTX 970, AMD Radeon R9 290 equivalent or better. CPU: Intel i5-4590, AMD FX 8350 equivalent or better. Video Output: HDMI 1.4, DisplayPort 1.2 or newer. USB Port: 1x USB 2.0 or better port. Operating System: Windows 7 SP1, Windows 8.1 or later, Windows 10. Of course, there are no limits to the top. 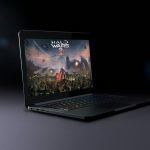 Both HTC and Oculus offer small programs that check the compatibility of your computer and tell you where there might be a need for retrofitting. Here you can find the HTC test tool and here the tool from Oculus. Another test option is Steam on the SteamVR Performance Test . How to upgrade your PC accordingly, you will learn in our VR upgrade guide . However, the hardware of the headsets can not be made a clear decision , too similar are the two VR glasses. Thanks to the integrated headphones, the Oculus Rift is slightly ahead, but if you have good (gaming) Bluetooth headphones, you can use them as well. The tracking systems provide the greatest difference of the two VR solutions. While the Rift headset has luminous infrared diodes whose (invisible to the human eye) light is picked up by cameras, which operates Lighthouse system of HTC Vive vice versa. Here, the Lighthouse cubes emit infrared lasers, which are picked up by light-sensitive diodes on the headset and the controllers. If you get the commercially available versions of the headsets, you will get different setups. An off-the-shelf HTC Vive offers Roomcaling right out of the box , allowing you to enjoy room-filling VR games and experiences. But you have to attach the enclosed Lighthouse stations to your walls or on suitable tripods and of course have the appropriate space at home. The HTC Vive supports a game area of ​​around 12m² (official data, users report significantly larger areas, which are reliably tracked). As a minimum area for room-filling VR you need 2m x 1.5 meters – and of course the playing surface should be completely cleared. In our setup guide to the HTC Vive , we offer you a few tips and tricks to set up the headset and the playing surface. Of course, the HTC Vive can also be used while sitting or standing. 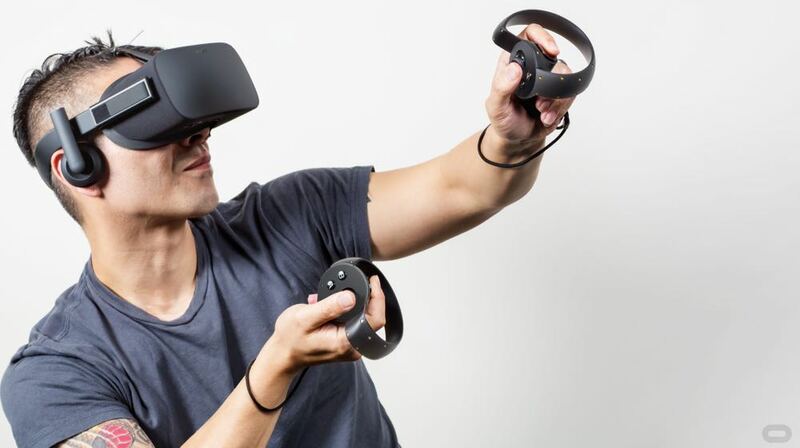 An Oculus Rift you get now only in bundle with the Oculus Touch controllers and a second sensor. A decent setup for room-filling VR experiences you get at Oculus not delivered, you need at least a third Constellation camera, but there is also an experimental version with two sensors. More about that right now. You can simply put the sensors on the desk or on the shelf. However, we recommend a fixed mounting (eg on the wall) or a tripod – if the position of the cameras changes too much, a recalibration will be necessary. Especially when you have limited space, the Oculus Rift will meet you. Although Oculus recommends a minimum playing surface of 2m x 1.5m as well as HTC, it is also possible a smaller structure (1m x 1m). In order to achieve a room-filling 360-degree experience with the Oculus Rift , you will need a third sensor. That in turn needs another USB 2.0 port on your computer. Since the third sensor has to be placed at a greater distance from your computer, an extension cable is included. Since mid-2017 , the Oculus Roomscale setup software has been supporting the setup routine, making it easy to set up with three sensors. Nonetheless, the Oculus Rift Roomscale setup has some pitfalls . What you need to look out for at the Oculus Rift and Roomscale is explained in our article on Roomscale with the Oculus Rift . There you can also read how the variant works with two sensors. This is absolutely sufficient, at least for small play areas and you can use Roomscale without tracking misfire. From a purely technical point of view, the constellation tracking system of Oculus clearly loses out . In the standard retail version, the Oculus Rift only supports the experimental Roomcale version, plus you need a lot of cables and USB 3.0 ports. Practical: We have collected a lot of solutions to problems with the Rift . Valve and HTC provide the better solution with the Lighthouse system , which – apart from a power cable for each Lighthouse box – manages without annoying additional cables. Only the attachment in 2.50 meters height could be considered a drawback, but this is an installation that pays: Once attach and it works permanently. However, if you do not have a large playing area anyway , the Oculus Rift is almost better than the HTC Vive. Even though the Lighthouse system works considerably more efficiently and precisely on paper than the Constellation system, the difference between the two systems in terms of the right set-up in practice hardly matters. Here, both systems work reliably and with sufficient precision. The included controllers of the two headsets could not be more different in their form and function . Since we are more specific to the differences between the controllers of the HTC Vive and the Oculus Rift in our big controller comparison , we will only roughly outline the most important points here. This means that our virtual hands are in some ways the same as our real hands . The bale of a virtual fist requires the bale of our fist from us, as well as signaling a virtual thumbs up by giving a real thumbs up. With the controllers of the HTC Vive such gestures are not possible. While HTC Vive’s controllers have no hand presence, they overshadow the Oculus Touch controllers in terms of haptic feedback . The touch controllers only rotate one feedback unit that we know from older PlayStation DualShock controllers or phones or early smartphones. The Vive controllers have a non-linear oscillator in their TouchPad. We already know him from the Steam Controllers and several videos in which music is made . The fact that the Vive controllers not only vibrate in one direction, but generate much more complex vibration patterns, they provide haptic feedback. Theoretically, at least, because just because the controllers have this feature, does not mean that developers of VR games use them as well. Oculus is clearly ahead of the HTC Vive with the touch controllers. With touch controllers, interaction in virtual worlds feels more natural. Gripping objects or wild gestures allow the Vive controllers, but not in the quality, as the Oculus touch controllers do. The HTC Vive accesses the in-house platform Viveport and on Steam. Oculus operates its Rift-exclusive store, but users of the Rift also have access to SteamVR. In contrast to the exclusive policy of Oculus, Steam operator Valve also integrates other headsets in SteamVR via the OpenVR interface . This includes not only the Oculus Rift, but also Windows Mixed Reality or Razer’s OpenSourceVR project . Whether you’re on Steam, Viveport or Oculus, the setup routines guide you through each step so you can set up your headset on it . Only with problems the respective platform help you little. For the most common problems, we have created guides to help you troubleshoot the Oculus Rift and troubleshoot the HTC Vive . Both Steam, Viveport and Oculus Home use it on your desktop or you go into the VR versions of the respective stores . In it you can buy, install and try games and movies. SteamVR and Oculus Home transport you into a virtual home environment that you can personalize. You can browse through your games library, buy and start games, and even hang out with buddies virtually. While SteamVR Home is seamlessly integrated with Steam and thus the Steam Community , Oculus Home has the ability to connect to your Facebook profile in order to locate Oculus owners in your circle of friends. Viveport also gives you the option to subscribe to VR games . For € 7.99 (from March 22nd to € 8.99) you can choose five songs from the subscription offer, download them and play as long as you like. Once a month, you may exchange these titles for new ones or keep titles that have already been subscribed. 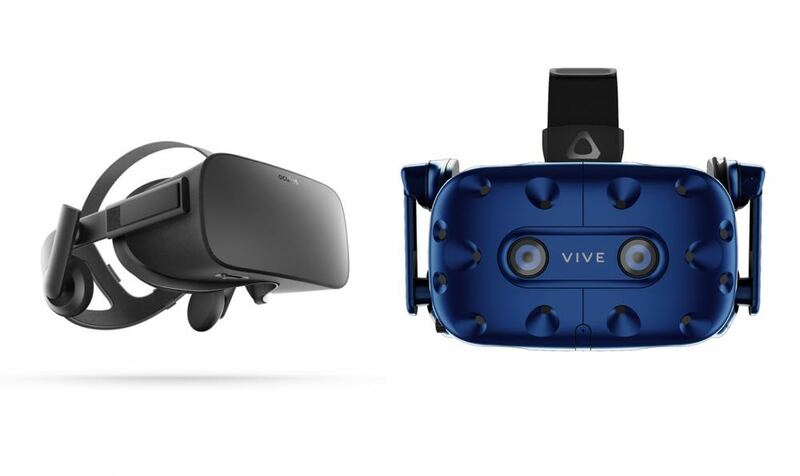 As we see in our column Oculus Rift vs.. HTC Vive noted, the contents decide on the success of a headset . Here the Oculus Rift scores with exclusive titles on the one hand and the smooth support of SteamVR on the other. Rift users have more games, more movies, and more applications available. Although ReVive is an unofficial way to play Oculus-exclusive games with the HTC Vive , a software update from Oculus can quickly ruin your game . However, there are now some VR blockbusters on Steam that do not natively support the Oculus Rift. These include Fallout 4 VR , Doom VFR and LA Noire: The VR Case Files . 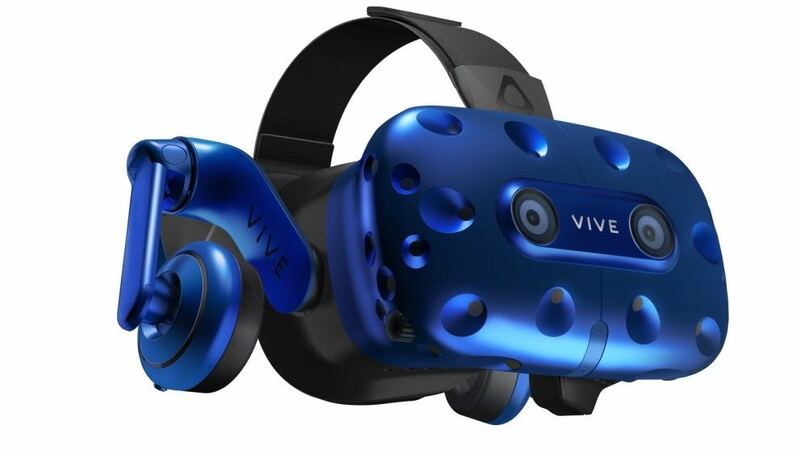 In addition to accessories that are more spare parts than accessories – these include face pads, new controllers or cables – there are a few enhancements that make sense, especially for the HTC Vive. In our accessory for the HTC Vive , we introduce just about every piece of equipment we could find. The accessories available for the Oculus Rift have also been collected in our own article. Here we only go into the most important things. Another sensor is needed in the Oculus Rift to perfectly experience room-filling VR . Sure, the sensor can also be considered as a spare part, but first and foremost, it extends the tracking capabilities of your Oculus Rift. With the included USB 2.0 cable you will be able to easily place the sensor behind you. Anyone who has had enough of the Oculus Rift’s integrated on-ear headphones can either upgrade to a separate Bluetooth headset or opt for Oculus in-ear headphones as an alternative. Like any pair of in-ear headphones, the alternative headphones do not always fit in every ear and are generally a matter of taste. But they outperform the standard headphones in terms of sound quality and better isolate you from the acoustic outside world. Wearers of glasses have no major problems wearing their glasses under the HTC Vive. With the Oculus Rift this can be more problematic if the glasses are a bit bigger. With slightly thicker temples the headset is no longer smooth on the head and incoming light affects the VR experience . For example, the company VR Lens Lab with their corrective lenses helps . Made in your eyesight, slim glasses fit easily under any VR headset and replace your normal glasses. By default, the HTC Vive only has a 3.5mm jack for headphones of your choice. With the not quite cheap Deluxe audio belt HTC changes this circumstance . The headphones installed there sound very good and encapsulate us sufficiently from the outside world. Much more decisive, however, is the improved hold that the Deluxe Audio Belt offers. All our impressions of the audio belt you read in our review of the Vive Deluxe Audiostrap . With the optional TPCast module, you get rid of any cables that need HTC Vive and Oculus Rift. 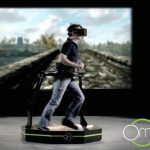 The freedom of movement reaches its complex structure with a router, and a transmitter and the receiver on the head holder of the VR headsets. The necessary power comes through a battery on your belt or in your pocket. In our detailed test to TPCast you learn everything worth knowing about the expensive cable killer. At the CES 2018 presented the HTC Vive wireless adapter before. The is built in collaboration with Intel and comes without an additional router as the TPCast. The wireless add-on is scheduled to be released in mid-2018 and will also be compatible with the new HTC Vive Pro (more on that later). The Vive Tracker are small pucks that you can connect to or attach to all kinds of objects ( or living things! ) To track them for the tracking system. Here, the ViveTracker are primarily aimed at business customers and hobbyists who can create complex mixed reality applications about it . At Gamescom 2017 and CeBit we saw the Vive Tracker in action in combination with VR gloves and confirmed that they have the same tracking qualities as the headset and controllers of the HTC Vive. The HTC Vive offers the better upgrade options. For Oculus Rift there are hardly any extensions from third-party vendors, and thus manufacturers often focus on the HTC Vive to implement wireless solutions or other ideas. So if you want to try out cool new VR extensions in the future, you can rely on the HTC Vive. What the future of the two big VR headsets currently looks like, only the manufacturers themselves know . We can only assume that the HTC Vive 2 and the Oculus Rift 2 will definitely offer a higher resolution. 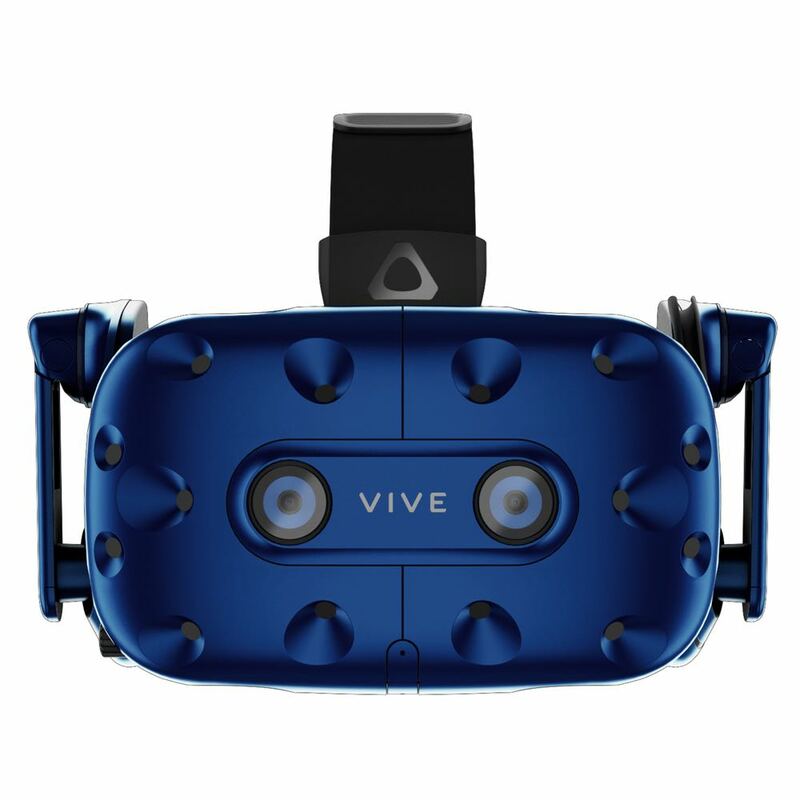 HTC has already taken a first intermediate step: at the CES 2018, the manufacturer presented the HTC Vive Pro , which is equipped with a higher resolution and a new, improved headgear system. Now that a new, smaller version of the Lighthouse boxes has found its way into the packaging of the HTC Vive, the second version of the tracking system is now underway . This should be even smaller, only have a rotating mirror and communicate with a new version of the tracking software with up to four Lighthouse 2.0 boxes. The latter allows the extension of a tracking system on up to 100m² Spielfäche. That should be especially interesting for VR-Arcades . In response to the Oculus Touch controllers, last year Valve introduced its own controllers to provide an alternative to the Vive controllers. The controllers named Knuckles track all five fingers of one hand and offer an even better hand presence than the Oculus touch controllers. This makes even more intuitive, natural interactions with the virtual world possible. Developers already have access to the new controllers, which will work well with your HTC Vive and the Lighthouse tracking system, when the Knuckles will be available to end users, but has not yet decided. Gradual opening of Oculus Home for third-party headsets? 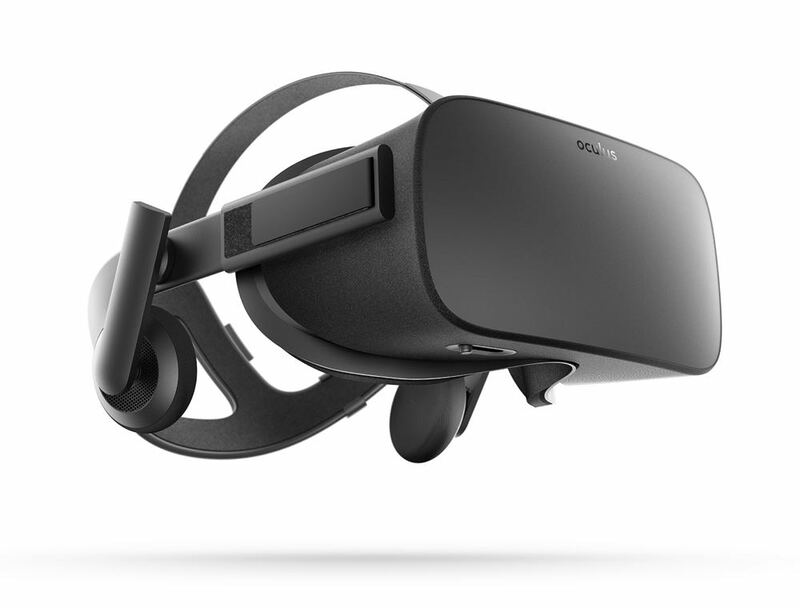 For the Oculus Rift, no hardware upgrades are currently in the starting blocks. Eventually, we will be able to announce news at the F8 2018 . Nevertheless, Oculus apparently plans to eventually open their store and software for more headsets . Similar to how SteamVR supports the Oculus Rift, Windows Mixed Reality and other OSVR-compatible headsets in addition to the HTC Vive, Oculus should achieve similar compatibility . However, this will probably not happen in the near future, Oculus points to the need for an industry standard that allows easy integration of different VR headsets. He’s with OpenXRalready in the planning, but will take some time. Before that, Oculus makes no effort to open his store for other glasses. Of course, the question of a successor also arises with Vive and Rift. Is it worth it to buy one of the two headsets after almost two years? 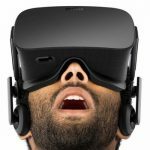 If we believe the statements of Oculus, then we should not expect new versions until at least 2019 or even 2020 . However, HTC has already announced a new VR glasses with the HTC Vive Pro, which should appear in mid-2018 as a complete package with the new Lighthouse tracking system . If we summarize everything, we come to a clear draw between Oculus Rift and HTC Vive. While the hardware of the headsets is equally good on both sides, the HTC Vive scores points in the tracking system and expandability. The Oculus Rift decides the controller race for itself and stands out in part the HTC Vive with their exclusive titles while being compatible with SteamVR. However, there are now also blockbusters that are intended native only for HTC Vive. So each headset has its pros and cons, where you have to decide for you what is more important to you. Do you value expandability? Which headset feels more comfortable for you? Do you have the space to take full advantage of the possibilities of room-filling VR? Do you value perfect tracking? You can easily find that out by trying out the headsets with friends or in a VR gaming areas near you. I’m tested the glasses HTC Vive in Virtual Reality Melbourne. For the second question and many more questions we have created FAQs for the two VR glasses , which also link you to other articles on our site. In it you will find everything important to the HTC Vive and all important questions including answers to the Oculus Rift . 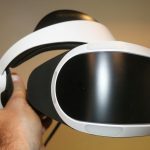 We hope that our comparison of the two big VR headsets will help you in your decision-making and that you will be able to read deeper into the matter of VR at VIRI where you can book for a chance to experience the virtual world. Should you still have questions under your nails that we did not answer, then use our comment function and we will try to help you there.